*Note: Please download the NETGEAR Nighthawk App for all NETGEAR WiFi routers [except WNDR3400, WNR2000 or older router models]. Please download the NETGEAR Orbi App for all Orbi WiFi Systems. The NETGEAR genie app supports: • Cable modem routers • DSL modem routers • WNDR3400, WNR2000 + other older router models For a list of supported products, please visit here: https://kb.netgear.com/24686/Which-NETGEAR-home-router-models-can-I-manage-using-NETGEAR-genie-app?cid=wmt_netgear_organic The NETGEAR genie app is an easy way to manage, monitor, and repair your home network--from the palm of your hand. While on your home network, the NETGEAR genie app allows you to access router features with your mobile device. You can access the following router settings using the NETGEAR genie app: wireless settings, network map, Parental Controls, guest access, traffic metering, MyMedia, and more. • Easily control your home network through the genie dashboard • Stream music and video files anywhere in your network from your smartphone or tablet • Securely connect smart phones and tablets to your home wireless network with a QR code thanks to EZ Mobile Connect The NETGEAR genie app does not work if your mobile device is connected to the router’s guest network. The NETGEAR genie only works when your mobile device is connected to a NETGEAR router that is in router mode, not in access point mode. 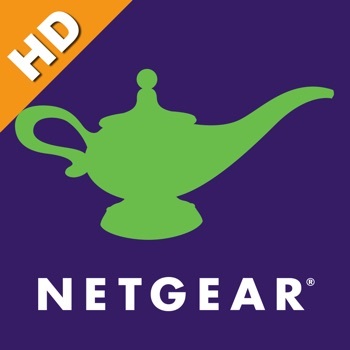 The NETGEAR genie app does not work with a wireless extender or repeater. The NETGEAR genie app currently does not support IPv6. If IPV6 is enabled, logging in to the router using the genie app will fail.